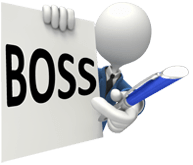 BOSS’ goal is to help your firm or business expand. We do this by freeing up two major resources: time and money. When you’ve outsourced accounting tasks a major source of money savings is obvious – you’re getting top-of-the-line accounting for a fraction of the cost of hiring someone on in-house. But there are other ways that utilising an overseas team member or two can help you move your business into the black. Let’s take a quick look at a couple of revenue resources you might not have thought about. 1. You won’t have to test out, update, or learn new accounting software packages. First of all, whatever accounting software package you use is probably already well known by your overseas team. (You can read about our list of IT options here.) If we don’t use your particular software package, we more than likely can learn it as most packages are similar in nature. Second, you won’t have to buy packages for all of your in-house computers. You simply save your outsourced accounting files to the cloud and your overseas team handles all of the number-crunching at our end. We have our accountants fully geared up with the latest updates and programs meaning that you don’t have to worry about it in-house. Third, because it’s part of our job to be up-to-date on accounting software, we’ll handle learning all the new bells and whistles that come out with new software packages and updates. You can translate the saved time into working on your business. 2. Your accounting quality may go up. High-level accounting is a skill-set unto itself and as a business owner you may simply not have the time to learn it for yourself. However your overseas team lives and breathes tax codes and bookkeeping practices and is always fully versed in the latest accounting regulations and requirements issued by Australia and New Zealand. This not only means that your outsourced accounting files will be handled by people who are fully versed in that professional accounting skill-set, it also means that they have the knowledge to spot out areas you might have missed where you could (for example) be saving money or where you might be eligible for a tax rebate or two. As mentioned above, keeping up with government regulations is a full-time job unto itself. And if you’ve ever been late with a tax return, accidentally bounced a check, or otherwise enjoyed the thrill of government or bank penalties, then you know just how quickly these accidental costs can add up. But your outsourced accounting tasks will always be kept up in a timely fashion, meaning you’ll have access to the information that tells you when you can’t afford to write a check for X dollars in a particular month. A clear and up-to-date picture of your finances can save you hundreds, and potentially thousands, of dollars a month. It also gives you a much clearer idea of the financial risk an expansion move might be to your company at any given time.